Cardinal Scale Mfg. 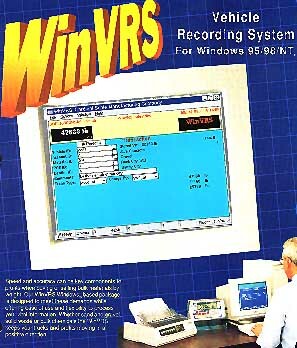 Cor speed and accuracy in the buying and/or selling of bulk materials, the WinVRS vehicle recording system for Windows 95/98/NT offers a range of report generation options including daily/weekly and period/history reports, and period-to-date totals. The unit features a variety of editing functions and look-up functions, as well as the ability to export data to other applications. The system can run up to four scales on one computer, or individual scales can be networked together, and is capable of recalling information on frequently weighed vehicles. It can be configured to connect the badge readers, remote displays, R.F. tags, and remote ticket printers. Support service is provided by connecting the system by modem to test and diagnose problems.